I remember hearing, a while back, about a museum being planned in East London that would chronicle the history of women in that area. I always love super-local history – a museum of women from one particular area is bound to uncover lesser-known, idiosyncratic stories, and it’s always cool to learn about stuff in the place where it actually happened. And while it’s frustrating that ‘women’s’ museums serve to keep women’s history separate from ‘normal’ history, the fact is that until ‘regular’ museums catch up in highlighting the works and accomplishments of women, LGBTQ folks, people of color, and different religions, I just have to be happy that people are committed enough to women’s history to fund and plan things like this. Well, except that they aren’t. See, in a startling twist this week, the unveiling of the museum’s front revealed not a commemoration of women in London’s East End, but an homage to Jack the Ripper. Tourist attractions based on the killer already exist. Yup. Instead of celebrating women, former Google diversity chief Mark Palmer-Edgecumbe has decided to celebrate a man (or men – there’s very little official conjecture on the case) who made his name murdering them. 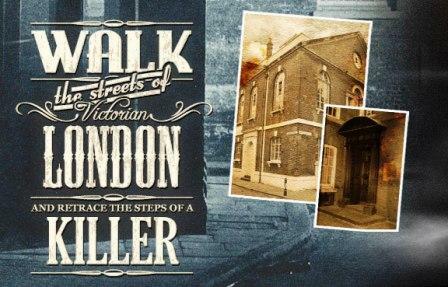 Now, if the original plan had been to create a tourist attraction based on Jack the Ripper, it would have been a bit distasteful, but also totally understandable. Tourists love lurid histories, and the Victorian era in England provides the perfect backdrop. Even though we know it’s real, we kind of process the story of Jack the Ripper as fiction because it fits so perfectly with some of the themes in the literature of that time. In fact, when I think of Jack the Ripper, the mental image I conjure up is very similar to the one I have for Mr. Hyde – all top hat, cloak, and evil sneer. People love a good scare, especially if it’s ‘ripped from the headlines’, and tourist attractions are designed to entertain and make money, not educate or edify. However, to set up a ‘museum’ centered on Jack the Ripper in place of a women’s history museum seems no less than a cruel joke. The mental gymnastics that went into this bait-and-switch are pretty appalling. 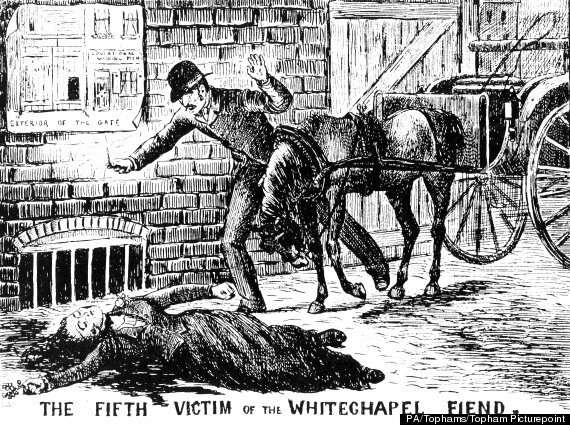 According to the museum’s developer, ‘We did plan to do a museum about social history of women but as the project developed we decided a more interesting angle was from the perspective of the victims of Jack the Ripper’. Straight from the horse’s mouth, folks; a dead woman is ‘more interesting’ than a live one. And the sad thing is, from a marketing point of view, he’s kind of right. As any loyal Law & Order fan will tell you, a dead prostitute makes a great plot point. But that, my friends, is the problem that this whole debacle highlights. See, I get that the historical distance between the murders and now – over 120 years – makes this kind of exhibit seem less reprehensible. That distance makes the victims seem less like actual people who suffered something horrible, and more like characters in a story. We’d find it pretty tasteless (I hope!) to advertise a museum dedicated to the deaths of the victims of a more recent serial killer – say, the Son of Sam or Jeffrey Dahmer. But I also worry that we’d find those more tasteless because of who the victims were. 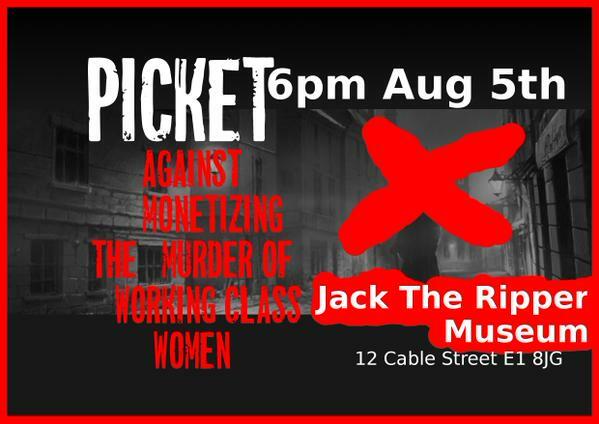 If this Jack the Ripper museum scandal begins only one conversation, I hope it’s about the fact that these women’s status as poor prostitutes of low social standing makes it easier to treat them as less than human. Because honestly, it seems incredibly disingenuous of the developers to display the victims’ ‘original autopsy photos’ under the guise of presenting ‘the women of the East End’s story for the first time’. It’s like the ultimate in irony. These women’s ‘stories’ are being reduced to their deaths as told by the sensationalist media of the time and some dude in the 21st century. We won’t get to hear their voices, but we sure as hell will get to see their eviscerated bodies. 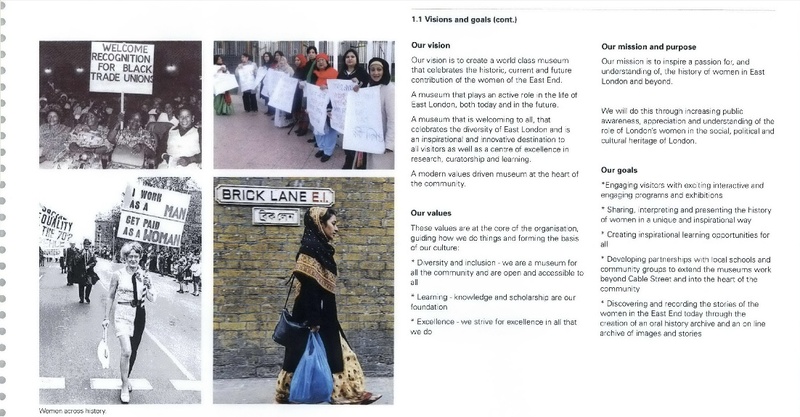 In a final insult, the developer promises that the museum will look ‘at why and how the women got in that situation in the first place’. In pretending to care about these women, he’s pretty much promising a lurid, exploitive narrative of women who he finds interesting purely because of their deaths. I’m picturing visitors ‘tsk tsk’ing at their stories of poverty and alcoholism before heading to buy some overpriced souvenirs from the museum’s gift shop. Instead of patronizing this museum while you’re in London, check out the Suffragette exhibit at the Museum of London, the Women Fashion Power exhibit at the design museum, or download a Women’s Walks app or an app that buzzes to notify you when you’re approaching an area of importance to women’s history. Let’s just hope those locations don’t include murder scenes. Ugh. I had seen a headline about this (though not nearly as lurid a one as yours — kudos!) but not yet read. The seemingly-perennial aesthetic — and marketing — appeal of women’s dead bodies escapes me utterly. Here. To “lighten” this up a (teeny-tiny) bit!